Pyongyang, South Korea (BBN) – Asian shares were mixed in Tuesday trade as geopolitical tensions took a backseat following a failed missile test by North Korea at the weekend and as U.S. Vice President Mike Pence continues his tour of Asia. Pence is due to meet Japanese Deputy Prime Minister Taro Aso on the second leg of his 10-day tour of the region, where he is expected to focus on trade and investment issues, reports cnbc.com. The Nikkei 225 rose by 0.64 percent, as the dollar gained against the yen after trading at a five-month low in the last session. The dollar/yen traded at 109.14, off the lows around the 108 level seen in the last session. Major Japanese bank stocks were higher by more than 2 percent across the board. Nomura Holdings led gains in the sector and was up by 2.22 percent. South Korea’s benchmark Kospi index was down 0.08 percent, retracing the modest gains made earlier in the session. Korean tech stocks were among the best performers in early trade, with chip manufacturer SK Hynix 0.51 percent higher. U.S. Vice President Pence had earlier visited the demilitarized zone (DMZ) in South Korea on Monday. Pence noted that U.S. “era of strategic patience” with North Korea was over and that “all options (were) on the table” when it came to Pyongyang. “One suspects the concerns in North Korea has further to play out … With this in mind, there will be a strong focus on next week’s meeting between the Russians, the U.S. and the United Nations to discuss Syria and North Korea, although a week seems a long time in markets,” IG Chief Market Strategist Chris Weston said in a Tuesday note. In other South Korean news, former President Park Geun-hye was indicted for bribery and abuse of power yesterday. Australia’s benchmark ASX 200 index fell 0.86 percent as Australian markets opened after the long Easter weekend, driven by the telecommunications and materials sub-indexes, which were down 3.17 percent and 1.83 percent, respectively. 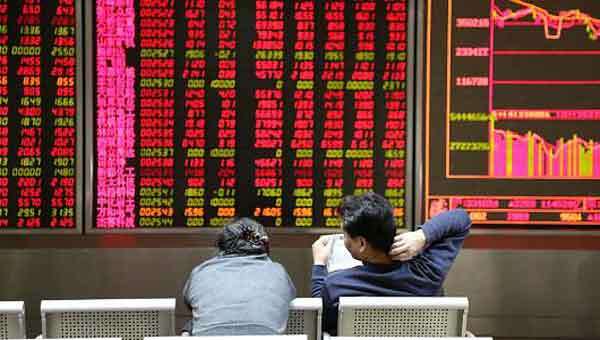 Mainland Chinese markets opened mixed, with the Shanghai Composite down by 0.17 percent and Shenzhen Composite trading 0.043 percent higher. 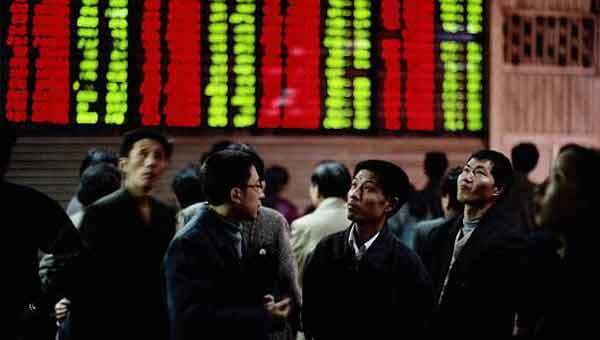 Hong Kong’s Hang Seng Index fell 0.46 percent. In corporate news, shares of HTG Molecular Diagnostics jumped 10 percent after it was reported the molecular profiling company had entered into a master services agreement with Japan’s Daiichi Sankyo. Daiichi Sankyo shares were higher by 0.35 percent. Meanwhile, Ant Financial upped its offer for MoneyGram International after a rival offer was made by Euronet Worldwide. Ant’s revised offer stands at $18 per share, totaling $1.2 billion. The board of MoneyGram has approved the offer but the deal will need to be cleared by the Committee on Foreign Investment (CFIUS) first. In currency markets, the dollar traded lower for a third straight session against a basket or rivals at 100.31 at 9:25 am HK/SIN, compared to the 100.4 handle seen yesterday. The Australian dollar was weaker at $0.7572, off the $.076 handle seen at the beginning of this month. Brent crude was higher by 0.11 percent at $55.42 per barrel and U.S. West Texas Intermediate (WTI) crude inched up 0.02 percent to trade at $52.66. Oil prices fell by 1 percent in the previous session due to reports of increased U.S. shale production. On the economic front, China will be reporting March home prices at 9:30 am HK/SIN. The Reserve Bank of Australia is set to release the minutes of its April monetary policy meeting at the same time. Shares posted a higher finish on Wall Street, with the major U.S. indexes all up by more than 0.8 percent. Investors are expected to eye earnings season in the U.S., with Bank of America, Goldman Sachs, IBM and Johnson & Johnson among the big names reporting this week.